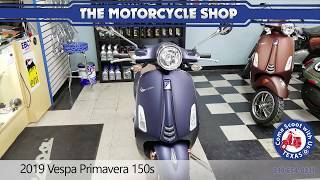 This new 2019 Vespa Primavera 150 Touring Motorcycle for sale has 0 miles. The color is Rosso Vignola. 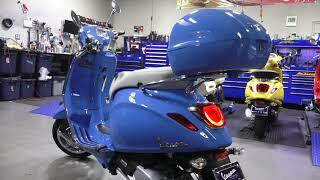 It is offered for sale by Vespa Shelbyville and located in Shelbyville, IN. The listing # is 14055. For more information call (317) 512-2774 . For the fastest response send an email via the form above. 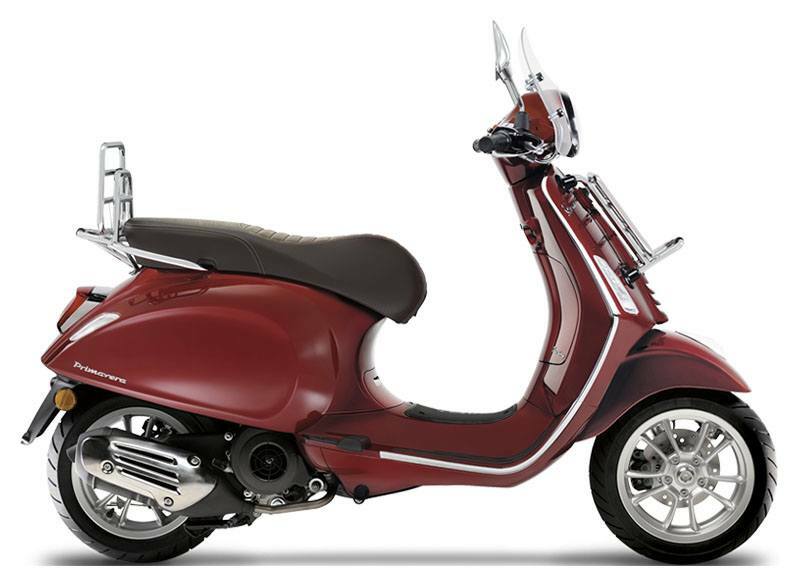 STYLE AND TECHNOLOGY An elegant color range and refined saddle fabrics make the Vespa Primavera an icon of style, further enhanced by chromed elements and a focus on detail that only Vespa is capable of. Riding round town with all the technology of the electronic injection 3-valve engine will be a pleasure thanks to its excellent performance and its great fuel efficiency. And with the introduction of ABS, the Primavera 150 is one of the most modern, advanced, and safest vehicles in its category. If sudden braking is necessary, the sensor system installed on the front wheel reacts to prevent locking, improving stability and increasing braking effectiveness. The average price of a 2019 Motorcycle for sale is $9532.02. This model is priced $4183.02 less. 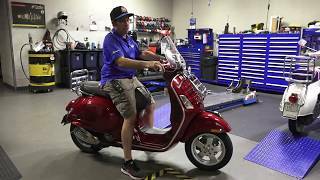 The average price of a 2019 Vespa Motorcycle for sale is $5744.03. This model is priced $395.03 less. The average 2019 Vespa Motorcycle for sale has 17 miles. This model has 17 less miles. 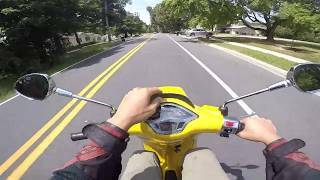 There are 25 Vespa Motorcycles for sale within 150 miles of Shelbyville, IN. If you looked at the average 2018 Vespa Motorcycle for sale it would cost $806.31 more. 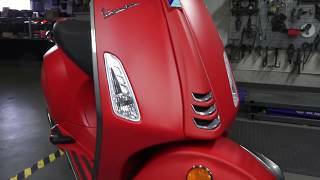 If you looked at the average 2020 Vespa Motorcycle for sale it would cost $1310.00 less. 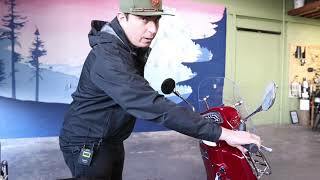 The average price of a 2019 Vespa Primavera 150 Touring Motorcycle for sale is $5364.38. This model is priced $15.38 less. 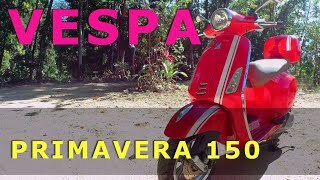 The average 2019 Vespa Primavera 150 Touring Motorcycle for sale has 2 miles. This model has 2 less miles. 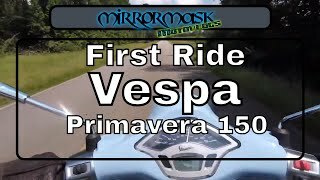 There are 1 Vespa Primavera 150 Touring Motorcycles for sale within 150 miles of Shelbyville, IN. 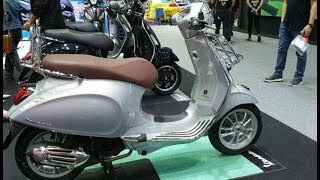 If you looked at the average 2018 Vespa Primavera 150 Touring Motorcycle for sale it would cost $150.00 less. 2. Will you love a Vespa 150?